This pencil dress has a breast feeding friendly flap at the front for easy access and discreet feeding. The Dress is slim fitting, made form our jersey fabric so is stretchy and comfortable. 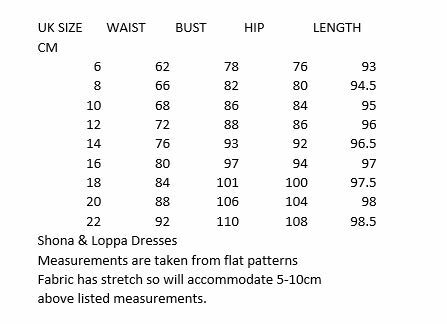 Your choice of sleeve length and fabric. Happy shopping! Lovely dress, beautiful material. Great service, quick delivery and amazing customer service. A wonderful dress, I can breastfeed and feel stylish and comfy. I got it in delphinium blue and it is so well made and beautiful. Thank you! Super comfy and flattering dress. Very easy to feed in. So much so that I have ordered a few in different patterns! I got this dress in the black lilies of the valley pattern and I love it. It's such good quality unlike most clothes on the high street.